New Reasons to Keep On Tracking! Are you making good use of the latest features and improvements in your position tracking campaigns? If not, you should because position tracking has been given some great new updates! AdWord Position Report tracks the position of the ads that appearon the top page of each available search engine (up to 11 keywords areshown). Keyword Ranking Report features a persistent date range and competitors’ list. 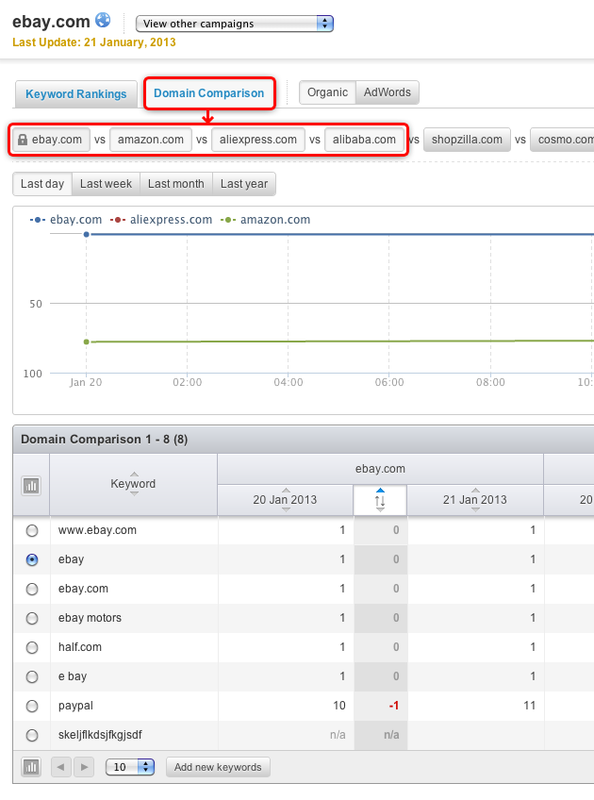 Each keyword includes a link to a Domain Comparison Report. The Domain Comparison Report has new charting capabilities and allows you to compare even more competitors. So take position tracking (currently in beta) for a spin, try out its​ new and improved features, and enjoy the ride! Q4 2012 Top News Stories! It’s February 1st, and all databases have been updated!